When is the last time you took a moment to think about who you are, where you want to go, what truly makes you happy and why? 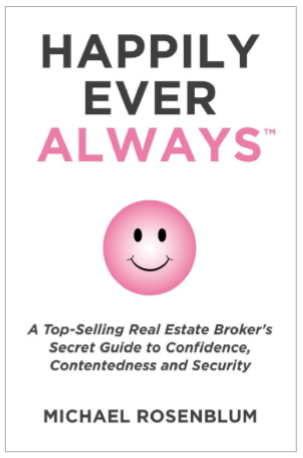 Michael Rosenblum is a Chicago REALTOR®, a Top Producer, a broker at Berkshire Hathaway HomeServices Koenig Rubloff Realty Group, and, now, the debut author of Happily Ever ALWAYS. 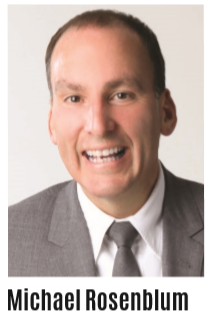 In Happily Ever ALWAYS, Michael takes readers through his journey of finding happiness, loving himself, embracing change and redefining the meaning of success and failure. As he recounts his journey to happiness, Michael pauses to give readers time to reflect on their own journeys. The book engages readers by encouraging them to answer a series of insightful questions about their gifts, aspirations, personalities and more. While Michael is a successful REALTOR®, the purpose of this book is far more than a guide to becoming successful and having a lot of clients. Happily Ever ALWAYS is about the self-discovery, self-acceptance and self-love needed to live a full life. Happily Ever ALWAYS can be purchased on HappilyEverAlways.com and Amazon.com.